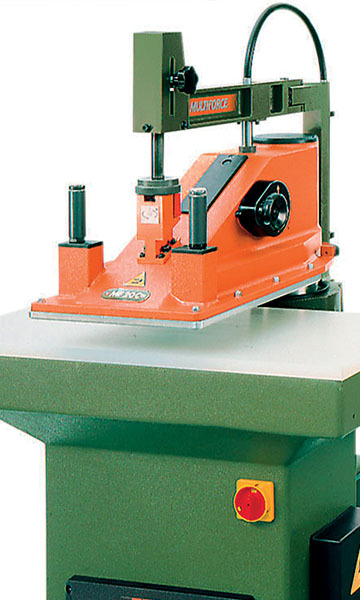 Die-cutting-systems : Clicking Presses - Cutting machines - Atom S.p.A. 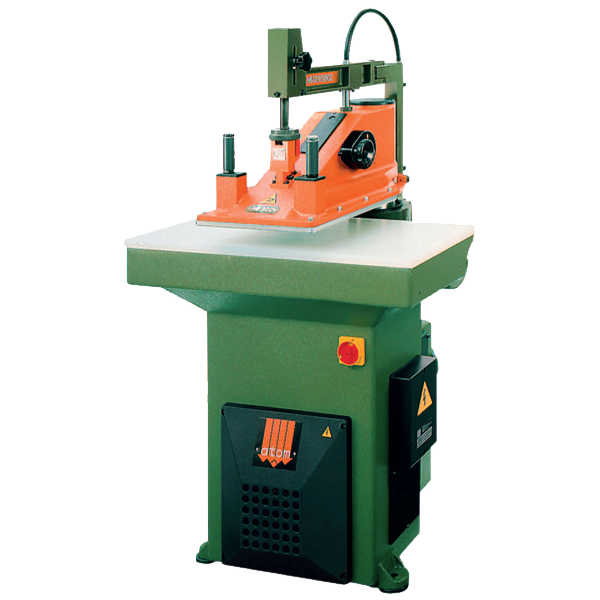 The 70-year experience in designing and manufacturing clicking presses is a guarrantee of products of great reliability, low consumption, no mainteinance and quick return of investment. 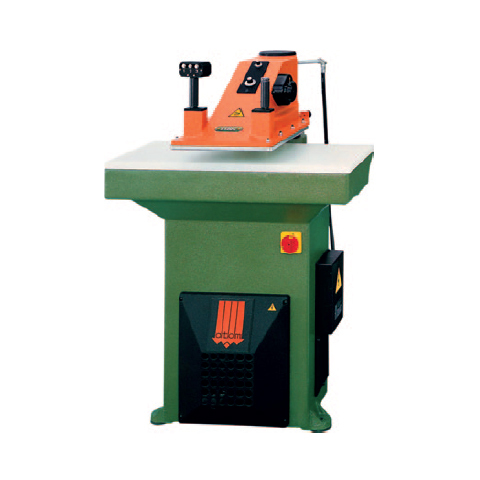 the exclusive hardware designed by atom ensures steady cut pressure all day long, maximum speed, cutting accuracy and arm rotation easiness with less operator’s fatigue. 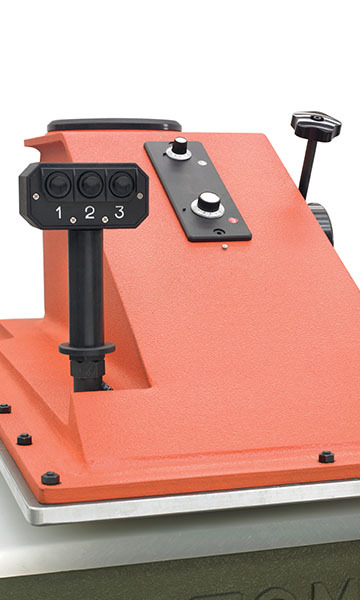 Models with Multiforce stroke-end system, covered by international patent. 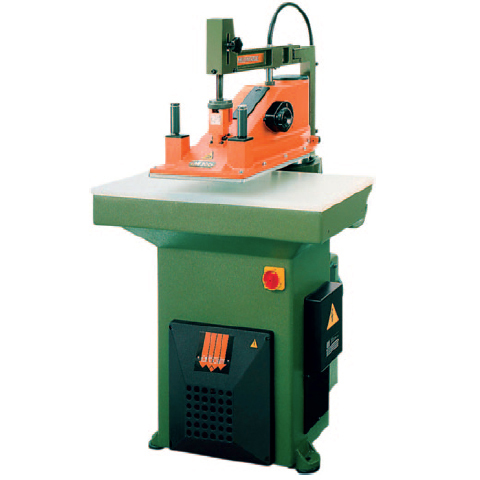 The cutting press automatically adjusts the cutting force according to the die size, no matter how resistant or thick is the material to be cut. 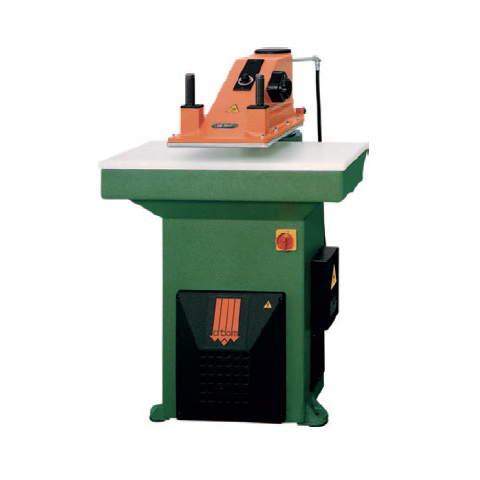 Models with automatic stroke-end setting-up, three-pushbutton cutting power selector and two potentiometers to quickly select the cutting force according to the die size. 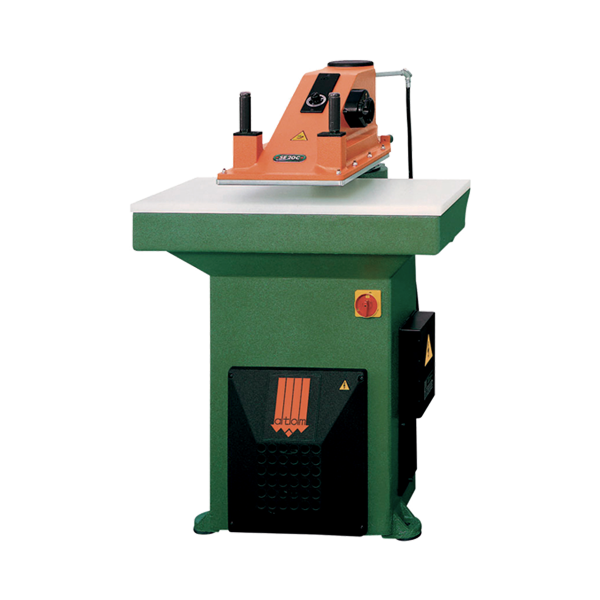 Models with automatic stroke-end setting-up to cut with dies different heights without any adjustment, and single potentiometer. Base made by casting, very resistant to stress, ensure the best durability and reduce noise level. 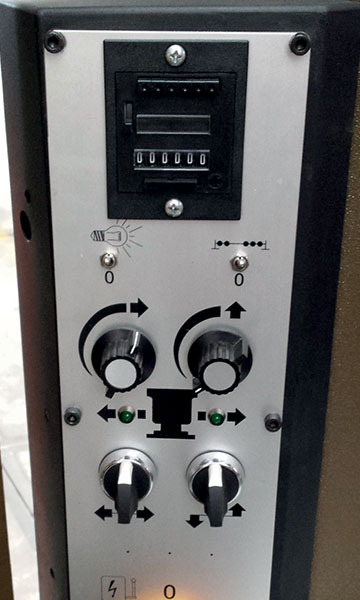 Pushbutton controls with time interlock synchronization allow to match operators’ safety and ease of use. 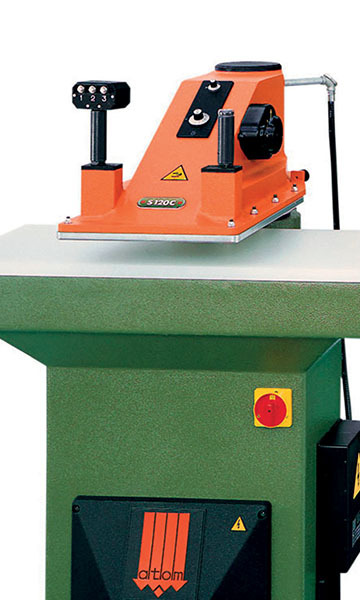 The optional configurable cut-counter allows to control the exact number of pieces cut or to plan the automatic stop of the cutting session as the planned quantity is reached. The range of Atom oildynamic cutting press allow to choose among 24 different versions to satisfy all the needs of many industries.